The Rocking Horse Love Classic Colorworks! They will be available soon! This is a very difficult newsletter for me to write. By the time you receive it, we will have begun the process of organizing and preparing our inventory for the closing of The Rocking Horse. We will close at the end of April. While I dearly love the industry and it pains me to have to do this, increasing overhead and losing business to the online sales makes it very difficult to operate a profitable business in the current retail environment. I dearly love my customers and all the fun we have but it is time to move on. I owe an overwhelming debt of gratitude to all those who have made this possible. To my current, invaluable staff. Diana, who I would not have been able to have the shop without all of her extensive knowledge. Travis, who I have seen grow so much in the past 2 years as a framer and a shop helper. Annette who never says no to me when I ask her at the last minute if she can help with sales and other things at the shop. To Kim for teaching our wonderful punch needle class, what fun we had. And to my finishers, Lynn and Jean for putting together the stockings and the pillows and more. And to all of my dear customers, I would not have been able to make it as far as I have without you. Beginning March 11th, we will reduce our entire inventory prices by 10%. On March 18th the discount will increase to 20%, April 1st, 30%, April 8th, 40%, April 15th 50% and possibly more through our closing date. At the time of this newsletter the closing date is scheduled for Tuesday April 23rd. You will be notified on facebook if this date changes. In addition to inventory, the majority of our store fixtures will be up for sale. I will determine a price for them but if you are interested in a large amount please make me an offer! Please note that this timetable can change without notice depending on inventory levels at any given time. Hours of operation are also subject to change as inventory drops. Please call the shop before you make a trip to make sure we are open. Due to our closing I must set other deadlines as well. As of March 11th all sales are final. All Store Gift certificates must be redeemed by April 5th. We will accept stockings and pillows for finishing through the end of March. Cash only for these orders and they must be pre-paid. We reserve the right to refuse anything we feel cannot be completed before we close the store. We will not be taking special orders any longer. Those orders that have recently been requested will not be filled. We will no longer hold items for anyone. If you want something you need to come to the shop and purchase it or you can call and tell us what you want and if it’s available you must pay for it at the time of the call. Items will still be shipped. Items will still be put up on the de-stash page during the closing for those of you who have enjoyed this page. But with that said please know that this page may close without notice. If you have purchased something on here and paid before the page closes, I will honor your purchase and ship to you. No new items will be purchased during the closing. All Shop wall models will be for sale during the closing, first come, first served. Yes they will be under a percentage off (sale) but we reserve the right to set the final markdowns. We will NOT hold models they are cash or credit and carry. Checks will not be accepted after April 1st. All purchases will have to be cash or credit card. March is the last floss club that will be ordered. 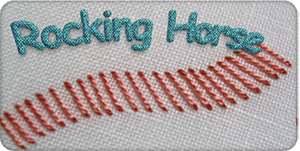 Tuesday night stitching will continue through the end of March unless you are otherwise notified. I will let you know if we do it in the month of April. If you are driving from a long distance especially, please call before coming in case we have had to close without warning. I will not be noting it on the shop door only on facebook during the closing. If we don’t answer we are not there, I have tried to get them to remove voicemail without success - we do NOT listen to voicemail. 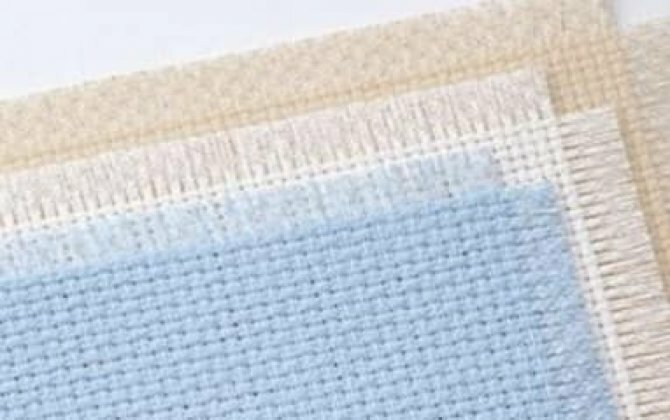 We provide a myriad of services to meet all of your cross stitching needs! Our friendly staff is able to assist you in getting every fabric and material that you need to get your project finished. 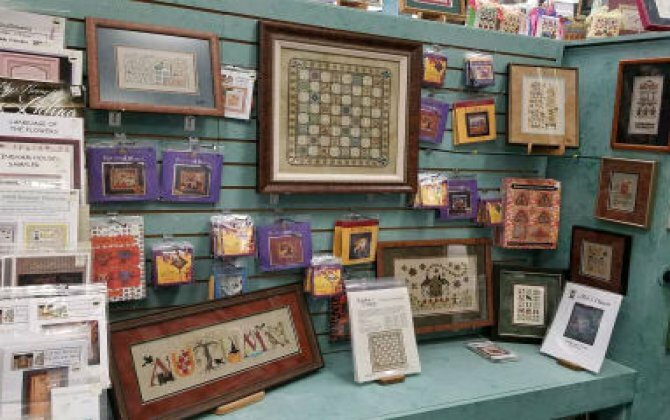 From accessories, fabrics and floss to custom framing of your finished product. Our team works tirelessly to ensure that you have everything that you will need. Furthermore, if there's an item or particular pattern that you don't see in our store or website, just let one of our friendly associates know and we will do our best to find it for you. For more information about our wide selection of styles and textures, contact us at (248) 474-3113. Serving Farmington Residents Since 1988 For over 30 years, we have valued our customers by providing excellent customer service. We are committed to making our customers our number one priority. We take pride in our friendly knowledgeable staff. We are here to make your creative experience with us, an enjoyable one. 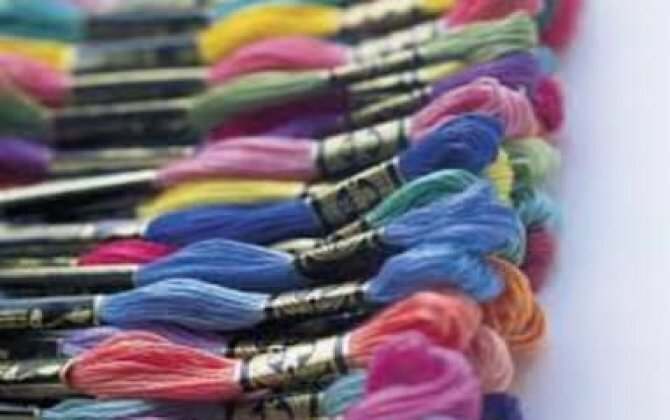 We are dedicated to inspiring a colorful and creative experience. "This Just In"!!!!!! 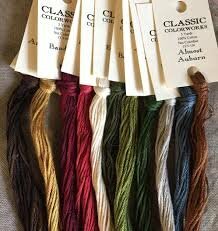 Click on Shop then hover over the Shop button at the top of the page and click on Classic Colorworks Floss Club. This will bring up the October CC Floss Club. See directions for ordering your Floss Club items.